FlexHEX Undo List is another cool feature. 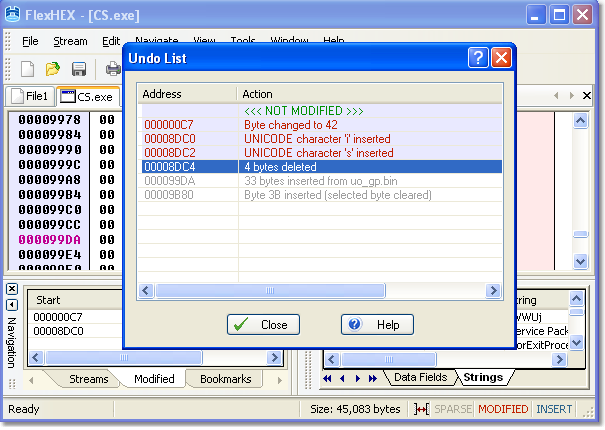 Every modification you made to the file is listed in the Undo list. Just click the position to which you wish to undo or redo.